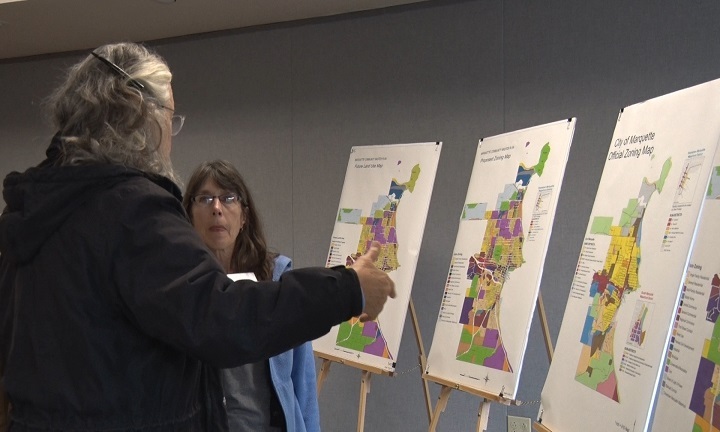 MARQUETTE — The Marquette City Planning Commission held an Open House event for the public to learn more about the Draft Land Development Code (LDC). This will replace the City’s Zoning, Sign, Fence, and Subdivision Ordinance, therefore, creating a new document. The LDC has been created to update and modernize the land-use codes, as well as, reduce the complexity of the current land-use ordinances. This new document will be able to provide a more user friendly form that combines various codes standards that are present in other documents. This also gives the chance for the public to give input and ideas to the commission. Some major intended impacts of the LDC include the reduction of variance cases caused by many different standards throughout the various codes and ordinances that are currently emplaced. It will even incorporate new standards for increased environmental protection and preservation.